Consumer Technology Association (CTA)™ is the trade association representing the $287 billion U.S. consumer technology industry. 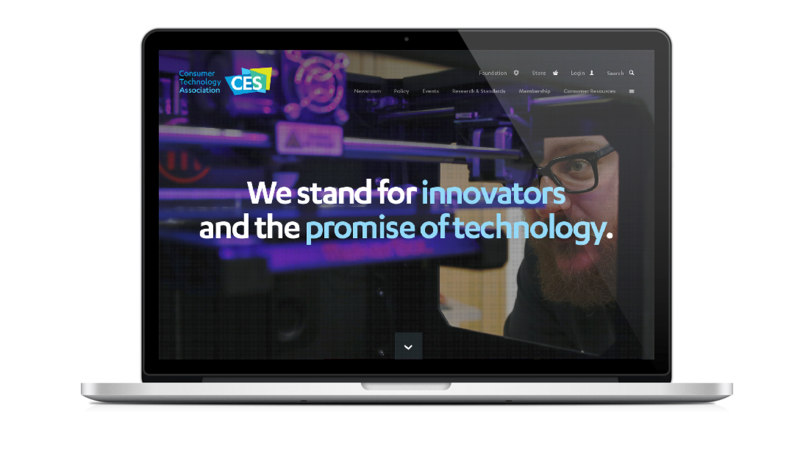 CTA also owns and produces CES® – the world’s gathering place for all who thrive on the business of consumer technologies. A new name. A new brand. A new approach to user experience. CTA was undertaking a significant rebranding process, which included changing its name from Consumer Electronics Association (CEA), when they engaged Edelman’s DC office to reimagine its corporate web presence. 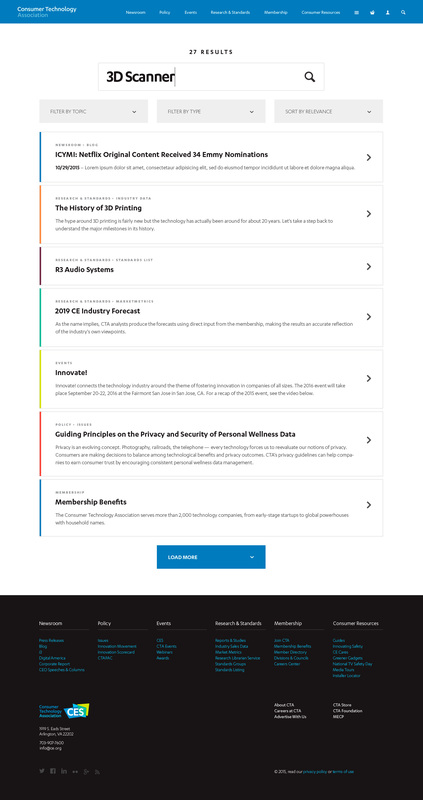 The Edelman team developed content strategy and information architecture while I was tasked with art direction and visual design as well as asked to consult on the user experience design. 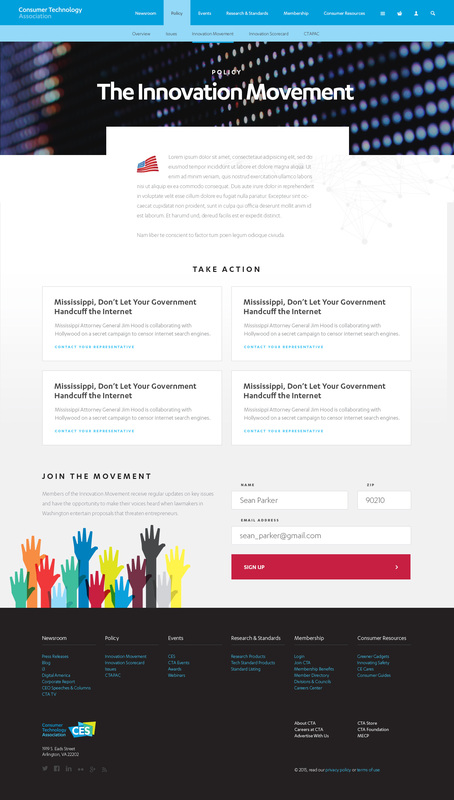 We worked collaborative to visualize a rich mobile first responsive experience that accurately reflects the dynamic and innovative nature of the organization while allowing them to better attract new member companies, advocate for existing members with policymakers and protect the promise of technology.